Play with caterpillar and friends! Identify and match beautiful images of the very hungry caterpillar and friends in the two-in-one The Very Hungry Caterpillar Bingo & Matching Tin Game! 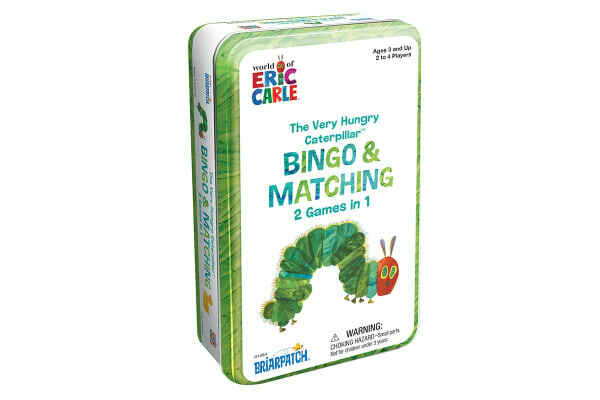 Play bingo or use character cards to play The Very Hungry Caterpillar Bingo & Matching Tin Game. 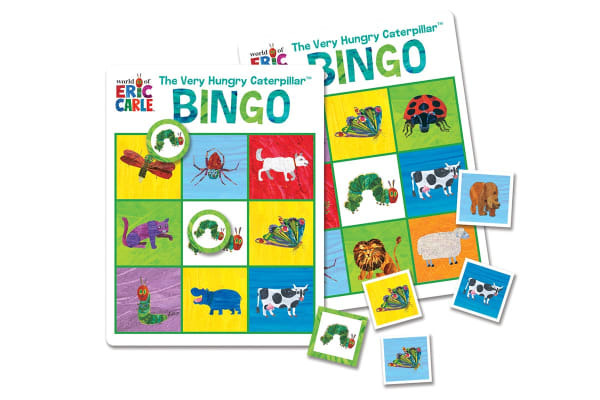 The pack includes 4 double sided bingo cards, 30 picture cards and 30 bingo chips.